Sage, a culinary herb also known as garden sage or Salvia officinalis, grows natively along the North Mediterranean coast. Hardy to zone 5 in the United States, sage plants thrive in most of the country with only minimal care. 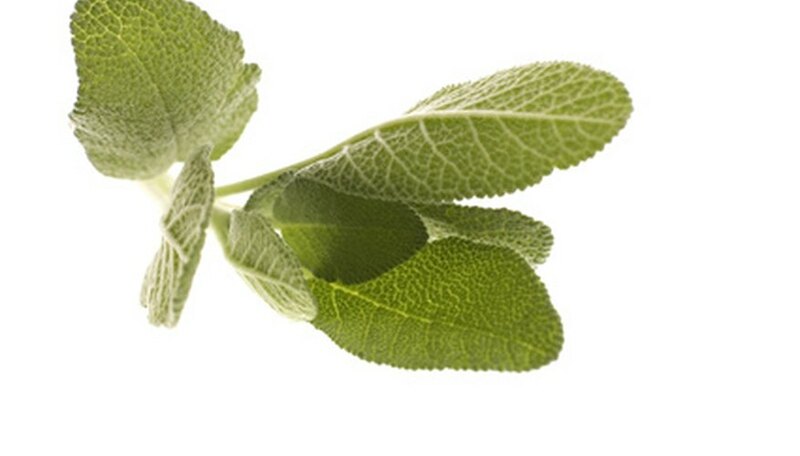 Gardeners prize sage for its attractive, fragrant leaves, ease of care and tolerance of drought. Common landscape uses for sage plants include borders, mass plantings, accents and containers. The plant's bluish-purple flowers may attract butterflies to the garden in spring and it produces leaves for harvest throughout most of the year. Plant sage plants during late spring after all threat of frost is over. Choose a planting location that receives at least six hours of full sunlight each day and has fertile, well-drained soil. Space sage plants 12 to 20 inches apart. Water sage once every five days during the first two months of growth. Reduce the frequency thereafter to once every two weeks, except during periods of extreme heat. If temperatures rise above 95 degrees Fahrenheit, water once per week. Side-dress with organic compost every spring to provide plenty of nutrition for growth by spreading a 2-inch layer of the material around the sage plants. Leave about 3 inches of space between the compost and the base of the plants. Harvest sage two to three times per year between spring and late summer. Pick the foliage just before bloom for maximum scent and flavor. Dry sage leaves by spreading them over a clean cloth and storing in a cool, well-ventilated area. Store in an air-tight container. Sage is suitable for growing in containers. Provide plants with well-drained potting soil and place in an outdoor location that receives full sun. Water only when the soil dries completely, about once every two weeks, and feed once per year in spring. Replace sage plants once every three to four years, as they become more woody and less productive after several years of growth.